Born with a failing heart, Kamo has fought death his whole life, but to no avail. As his body weakens and he readies to draw his final breath, he's visited by a powerful spirit named Crimson who offers him a deal: defeat and capture the souls of twelve spirits in exchange for a new heart. It seems too good to be true... and maybe it is. A pact with the spirit world; what could possibly go wrong? 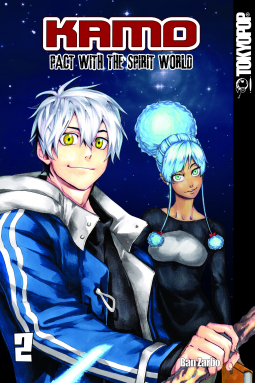 This is volume 2 of the Kamo manga series.